Palestinian civil society activists have heralded the decision by French corporate giant Veolia to sell off nearly all of its business activity in Israel as a huge victory for the global Boycott, Divestment and Sanctions (BDS) movement. The sale follows a worldwide campaign against the company’s role in illegal Israeli settlements that cost the firm billions of dollars of lost contracts. The boycott Veolia campaign was launched in Bilbao, the Basque Country, in November 2008, to pressure the company to end its involvement in illegal Israeli projects that serve settlements in the occupied Palestinian territory (OPT). ​ Under BDS pressure, Veolia has failed to win massive contracts with local authorities across Europe​,​ the US​ and Kuwait​​. 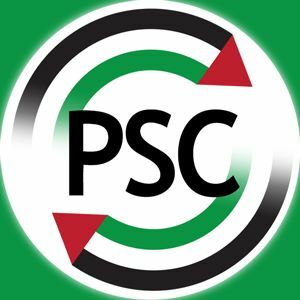 City councils across Europe have passed resolutions ​excluding the firm from ​tenders ​due to its involvement in Israeli human rights violations. Veolia executives have admitted that the campaign has cost the company “important contracts”, and financial analysts have repeatedly spoken about the financial cost of the campaign to Veolia. Veolia has now reported that the sale of its water, waste and energy contracts to Oaktree Capital, a Los Angles based investment firm, has been completed, leaving its stake in the ​illegal ​Jerusalem Light Rail as its only business interest in Israel. Around 10 authorities in Ireland and the UK introduced official policy barring Veolia from public contracts. Councils in at least 25 cities including London, Stockholm and Boston opted not to award or renew contracts with Veolia following public campaigns that were backed by local community leaders, churches, trade unions and mainstream political parties. Many investors including the Dutch ASN Bank and the Quaker Friends Fiduciary Corporation have divested from Veolia over its role in Israeli settlements, while other major banks and the Swedish AP pension fund have issued public statements condemning Veolia’s role in the settlements. Several “socially responsible investment” information providers have told campaigners they have listed the firm as having serious human rights concerns. Veolia continues to remain involved in the illegal Jerusalem Light Rail that links Israeli colonies to west Jerusalem through its holdings in Veolia Transdev, but has announced its intention to sell its holding in the railway. In 2014, Veolia stated in letters to BDS organizers that it had also “terminated its involvement in the Tovlan landfill … over three years ago.” Tovlan processes waste from Israel and its illegal settlements in the OPT. This claim was proven to be false, however, by official records obtained from the Israeli Ministry of Environmental Protection in September 2013, which show beyond doubt that the operator of the illegal Tovlan landfill at the time was still Veolia’s subsidiary, T.M.M. Integrated Recycling Services. Ownership of the Tovlan site and wastewater treatment contracts for illegal Israeli settlements is now expected to transfer to Oaktree. “By buying up these businesses, Oaktree has become an active accomplice in Israel’s ongoing violations of international law,” Nawajaa added. Mainly due to boycott pressure on it in the US and Europe, and particularly the campaign’s focus on its “apartheid bus operations,” which served Israel’s illegal settlements, Veolia had sold its entire bus operations in Israel in 2013. Nawajaa explained that the campaign against Veolia would continue because the firm remains a shareholder in the illegal Jerusalem Light Rail project. “The sole purpose of the Jerusalem Light Rail is to increase the appeal and facilitate the expansion of illegal Israeli settlements through the theft of Palestinian land. We will continue to boycott Veolia until it ends its participation in the Light Rail project and pays reparations to those Palestinian communities impacted by its support for Israel’s colonization of Palestinian land. International corporations cannot simply profit from Israel’s war crimes and then leave when the going gets tough, without being held accountable,” Nawajaa added. “We warmly thank the impressive number of principled activists and civil society organizations around the world whose dedicated and strategic efforts have made the campaign against Veolia such a success,” Nawajaa concluded. Israel doesn’t have to go all the way to Kathmandu to save lives; it would be enough to lift the siege it imposes an hour’s drive from Tel Aviv and let Gaza be rebuilt. The uniform is the same uniform. It’s the uniform whose wearers blew up hundreds of homes and schools and clinics in Gaza last summer. It’s the uniform whose wearers periodically shoot teenagers and children throwing stones and peaceful demonstrators in the West Bank. It’s the uniform that every night invades homes and brutally pulls people out of bed, often for needless and politically motivated arrests. It’s the uniform that blocks people’s freedom of movement in their own land. It’s the uniform that’s been abusing an entire people for decades. Now its wearers are saving lives for the cameras. The evil army in Palestine has become the salvation army in Nepal. The Israeli rescuers in Nepal are certainly infused with good intentions. The reserve soldiers among them told of dropping everything to join the effort. They are definitely good people who enlisted to help Israelis and Nepalese. It’s very moving to see a preemie being carried to safety by an IDF soldier. But we cannot forget that wearing that same uniform, the IDF kills babies by the dozens; a B’tselem report released last week listed 13 instances in which homes were blown up in Gaza, killing 31 babies and 39 children. He who did this to dozens of babies needs an intolerable measure of chutzpah to dare be photographed with a baby rescued from an earthquake and to boast of his humanitarianism. Because after all, boasting is the name of the game. That’s a fact. Let’s show ourselves, and particularly the rest of the world, how wonderful we are, how the IDF is really the absolutely most moral army in the world. “Have you seen any Iranian rescue planes?” asked a propagandist in disguise yesterday. “A model state,” “The beautiful Israel,” “The Israeli flag among the ruins,” “The pride.” “Our delegation of ministering angels represents the universal values of our people and our country,” the president said. “These are the true faces of Israel – a country prepared to assist at any distance at such moments,” the prime minister said. Ministering angels? The country’s true face? Perhaps. But that angelic face also has a dark, satanic side, one that kills babies, not only saves them. When that’s the case, one cannot speak of “universal values.” One cannot speak of values at all. There is simply no right to do so. To see Avigdor Lieberman, the bully who preaches at every turn to bomb, shell and destroy, speak of humanitarianism? There are countries that aren’t providing as much generous aid as Israel, but there isn’t a single country behaving with such hypocrisy – killing in Gaza, saving in Nepal, and presenting itself as Mother Teresa. There is no other country that so exploits every opportunity to propagandize and shower itself with syrupy, embarrassing self-adulation ad nauseam. Babies die in the child warehouses at the Tel Aviv central bus station not from some force majeure, but because of a cruel immigration policy. The IDF isn’t saving those babies. There was an earthquake in Gaza during Operation Protective Edge; the rubble has not been cleared to this day, and most of those who lost their homes remain homeless. No one has visited Gaza recently without being shocked to their very core. And that earthquake was manmade; it was the work of the IDF, the same IDF that’s in Nepal. Israel doesn’t have to go all the way to Kathmandu to save lives; it would be enough to lift the siege it imposes an hour’s drive from Tel Aviv and let Gaza be rebuilt. It would be enough to allow the 2 million people who live there a bit of freedom. It would enough to decide that during the next attack, which is inevitable, the IDF will act differently. That the same IDF now engaged in rescue will not commit more war crimes. That it will uphold international law, and perhaps even those “universal values” Israel is gloating about now. That the same IDF now hugging babies will not bomb homes with babies inside them. But all this is of course much harder than sending a 747 to Kathmandu and setting up the largest possible, best-equipped field hospital in front of the accompanying army of reporters, and applauding the beautiful, virtuous, moral Israel.